A man and a woman are seated at a counter with coffee cups in their hands. 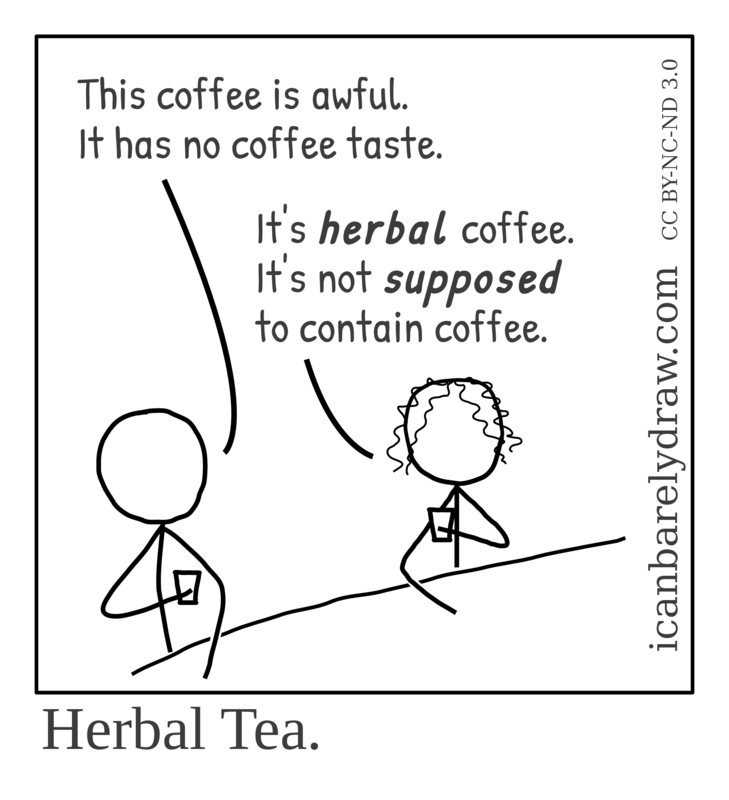 Man: This coffee is awful. It has no coffee taste. 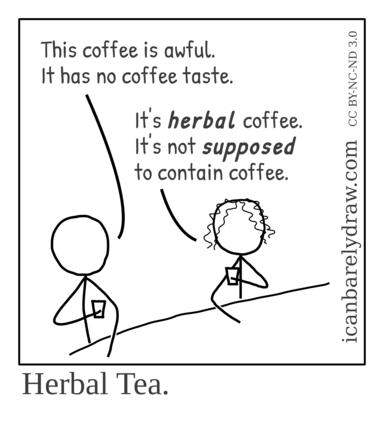 Woman: It's herbal coffee. It's not supposed to contain coffee.